It's never fun to get a traffic ticket. They're expensive, they put points on your license and they can raise your auto insurance rates - all things that aren't a whole lot of fun to stomach. And if you're the recipient of any traffic tickets in Colorado, don't think that you don't have any options in terms of fighting it. 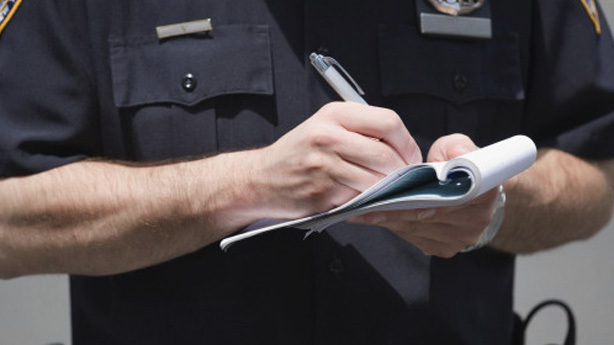 This article will outline the process you should follow and the steps you can take in regards to your Colorado traffic tickets. What to do if you get traffic ticket in Colorado? If you get a traffic ticket in Colorado, don't rush out to pay it. Instead, do a little bit of analysis first. Traffic ticket costs vary based on the severity of your violation, where your violation occurred and what county or local court you'll be reporting to. Generally speaking, you'll be on the hook for higher costs and fees in more mountainous communities of Colorado compared to the cities and towns that are more in the plains portion of the state. But back to the question at hand - what do you do if you get a ticket in Colorado? The best answer we can give you for that is to understand your options. Yes, you can pay the associated fees that go along with it. But you can also take some other measures to ensure that your fees are minimized or wiped out completely, that zero points go on your record and also that you make a conscious effort to improve your driving and understanding of driving so that such an infraction doesn't occur again and you become a safer, more responsible driver on the road. We'll have much more on this later on in the article. Court appearances are required in Colorado only if you're opting to fight the ticket in court, or if your ticket was severe enough that it put more than the 12 allowed points on your license. In these circumstances, you'll likely be required to appear in court. Like we told you in the opening, don't just think that once you get a ticket that paying it is your best or only option. Here's a look at four options you have when you get a traffic ticket. 1)	Pay your ticket: While this might be the easiest option, it's hardly the most affordable or the best option. Paying your ticket basically concedes that you broke the law, were caught and you're admitting it. To pay a traffic ticket, just mail the fine in by the designated date (which will likely be provided at the time of the ticket on the ticket itself) or drop the payment off in person. 2)	Plead not guilty and request trial: This option is most common if your violation was severe and could land you in hot water if you don't take some sort of legal action to fight it. 3)	Appeal your case: Appealing your case almost always consists of you going to court to fight your traffic ticket. This can be an interesting gamble. On the one hand, if you go to court to fight it and the police officer that pulled you over doesn't show up, you'll get off the hook. But if the officer does show up, you have to plead your case and plead it well enough that a judge will side with you, either to not make you pay the fine, to not put points on your license, or in some cases - both. However, if the judge doesn't side with you, you'll probably wish that you would have just paid your ticket and gone about your business. 4)	Take an online Colorado defensive driving course: One option that many drivers are unaware of is the option of taking an online defensive driving course. There are several benefits to taking this route. For instance, successful completion of such a course (should your traffic violation qualify for the course) will result in your traffic ticket being dismissed, thereby meaning that your license won't accumulate any points. Essentially, it saves your driving record from punishment, especially if you have a bit of a history of traffic tickets and other violations. But another benefit of attending a driving school is that you can actually learn new things that maybe you either didn't know before or had forgotten since driver's training. This, in turn, helps make you a safer driver, so you're learning from your mistake in many ways.